As an Animal Scientist and Conservation Biologist, it would be unlikely to surprise you that I find animals, their behavior, their physiology, and, well, pretty much everything about them, truly fascinating. Myself and the other interns a Gnaraloo are what I would coin, “Nature Nerds”, a term I assure you we all wear proudly. Atop our fridge is a precariously high pile of books, with titles in the likes of, Biological Review of Australian Marine Turtles1, The field Guide to the Birds of Australia2, and Field Guide to Snakes of the Pilbara3. Most people I know would be quick to evacuate at the sight of a venomous snake in their kitchen. But when this event occurred in our kitchen not too long ago, my first action was to get our reptile guide and identify our visitor while Heather took photos, so it could be logged in our species list. Very rarely does someone return from survey without having seen a new species of bird, lizard, or shark, and the books are taken out and photos compared. Dinner table conversations often revolve around the sharing of “fun animal facts”, and with all of us majoring in different fields, the facts and fun are never ending. 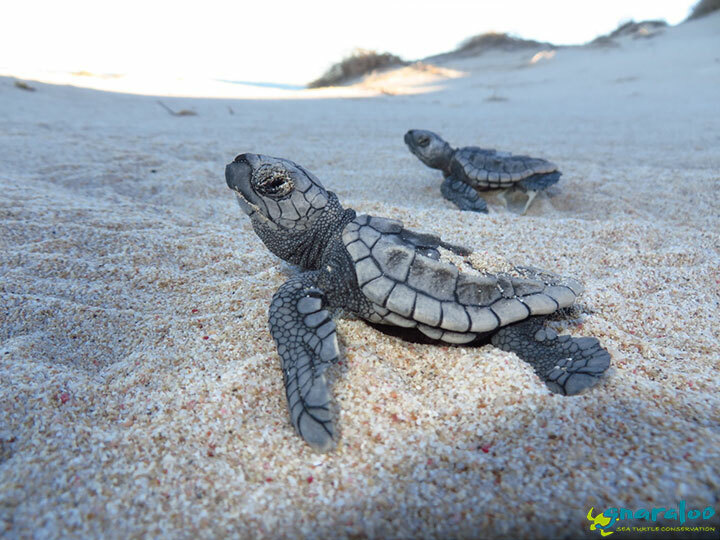 As you may have guessed, each of us holds a special place in our hearts for sea turtles, and they, by all standards, are truly fascinating creatures. 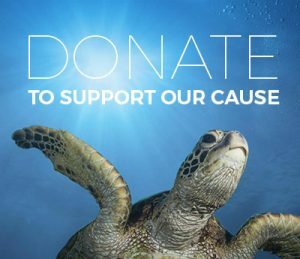 Perhaps the most fascinating thing about sea turtles, and, perhaps the reason we are all so drawn to them, is how little we really know about them. I guarantee if I were to sit here and write down everything I found fascinating about turtles, I would need to consult a publisher about a deal for my small novel. As such, I am going to pick one “fun fact” to share today. This fact revolves around the carapace and skin of the turtle. For those that don’t know, the carapace is the upper section of a turtle’s shell, while the plastron is the underside. During our Night Surveys when we come across a nesting female, we take Curved Carapace Length and Curved Carapace Width measurements with a tape measure to use as a gauge of growth rate. The shell of a turtle is an adapted form of ribcage formed from bony plates, and has ribs lining the inside of the structure of the shell 4. The patterning you see on top of turtles’ carapaces in some species is actually created by a formation of scales, known as scutes. Scutes are keratinous structures, much like our fingernails, and are different in the different species of sea turtles, with some turtles being soft shelled and lacking scutes entirely 4. Leatherback turtles (Dermochelys coriacea) are the only species found in Australian waters which is considered soft shelled without scutes. In addition to this, the flippers and head of the turtle, like all reptiles, are covered in scales, made up of thick epidermis and keratin. While most sea turtle species look markedly different, during the dark of Night Survey, when colours, patterns and shapes are not distinguishable, we often use scutes and scales to positively identify species. To do so, we count the number of pairs of costal scutes and prefrontal scales. Costal scutes are located either side of the vertebral scutes, which run down the midline of the carapace. Prefrontal scales are located posteriorly to the beak and in-between the eyes 4. 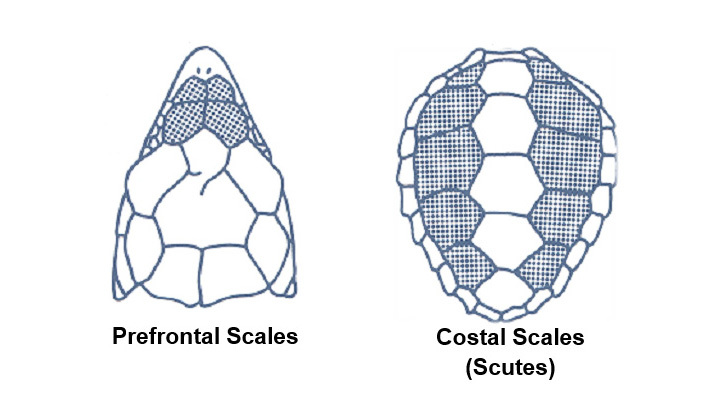 Each species has a specific number of these scales. Loggerhead turtles (Caretta caretta) have five pairs of costal scutes and two pairs of prefrontal scales as show in the included pictures. As turtles grow, throughout their lives, they shed their scutes and scales, growing new ones to replace them. 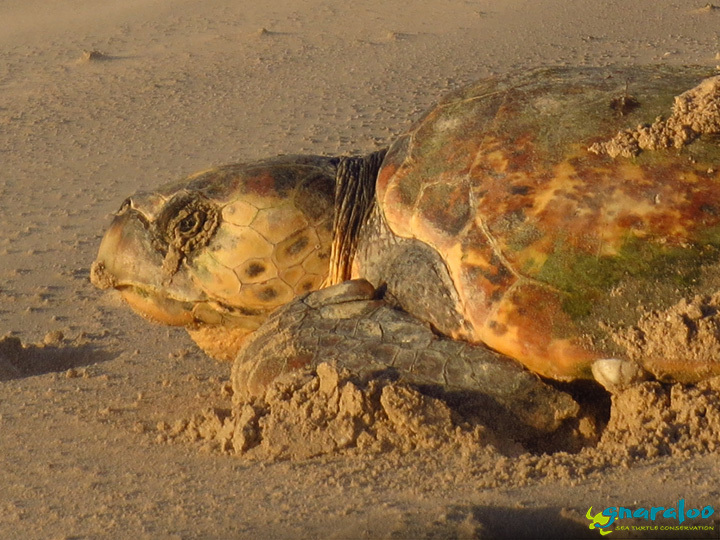 In fact, we have found several Green Turtle (Chelonia mydas) scutes washed up on our beaches here at Gnaraloo. While I have not included everything about the skin and carapace of the sea turtle, I could fill a text book, in fact many people have, I hope I have written just enough to get you interested in these amazing creatures. 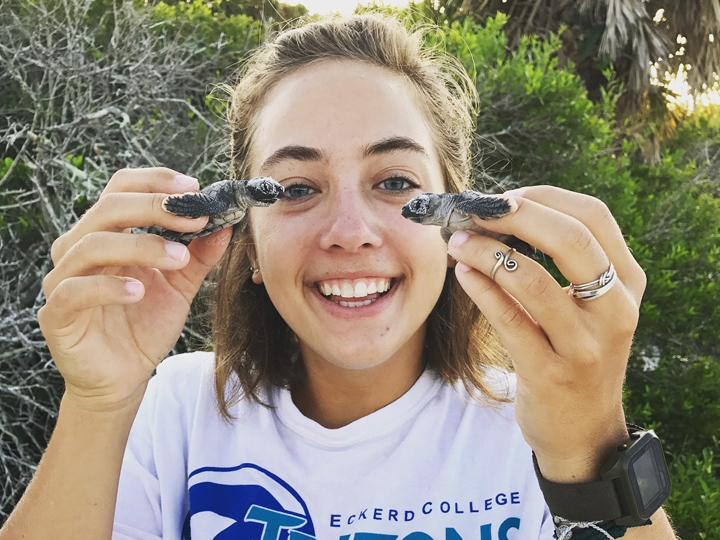 So, for all my fellow “Nature Nerds”, and perhaps those of you that are on your way to becoming one, keep an eye out on our Facebook page and website as each of the Scientific Interns provides you with just a glimpse into the fascinating world of sea turtles. Believe me the best is yet to come. 1. Limpus, C. J. (2009). A Biological Review of Australian Marine Turtles. Queensland: The State of Queensland.Environmental Protection Agency. 2. Pizzey, G., & Knight, F. (2012). The Field Guide to the Birds of Australia (ninth edition). Sydney, NSW: HarperCollinsPublishers. 3. Bush, B., & Maryan, B. (2011). 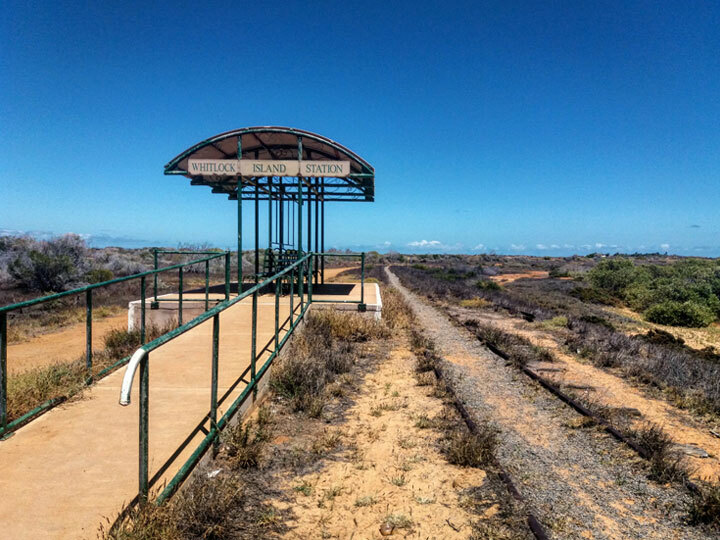 Field Guide to Sankes of the Pilbara Western Australia. Welshpool: Western Australian Museum. 4. Wyneken, J. (2003). The Biology of Sea Turtles; Chaper2: The External Morphology, Musculoskeletal System, and Neuro-Anatomy of Sea Turtles. CRC Press LLC.